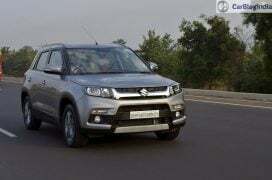 This Compact SUV from Maruti Suzuki has got a very positive response from the market. It sold more than 1.1 lakh copies in the first year of its launch. 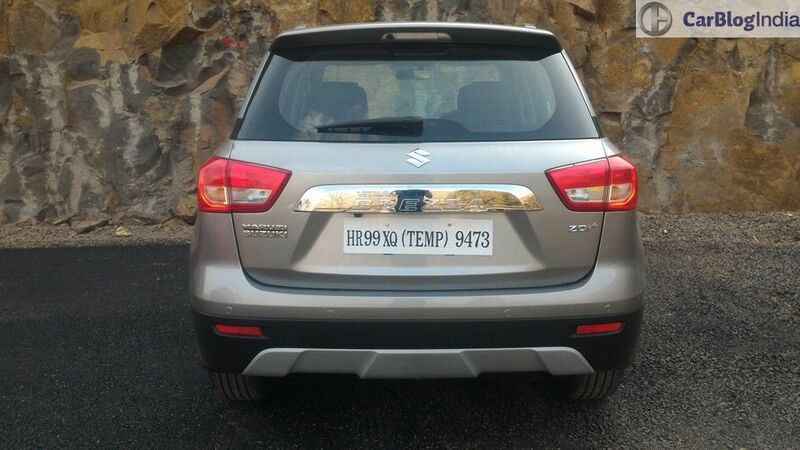 Now, a little over 1 year and 3 months since its market presence, it has crossed the 1.5 lakh sales milestone. 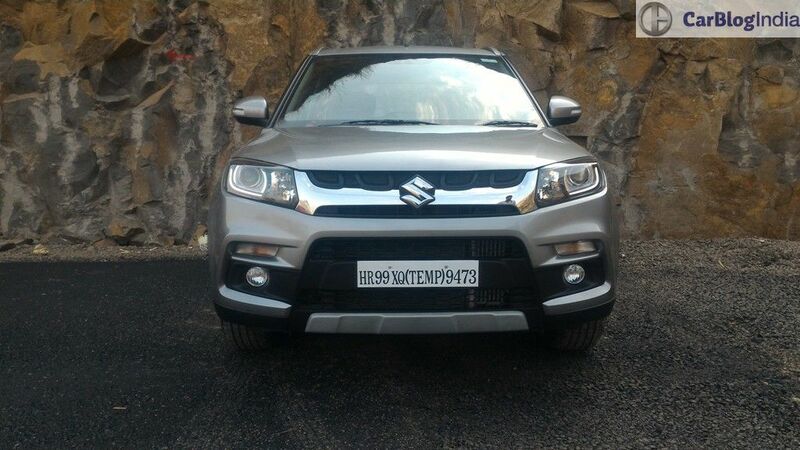 The new 2016 Vitara Brezza Compact SUV has been positioned below the Maruti S-Cross in the manufacturer’s lineup. 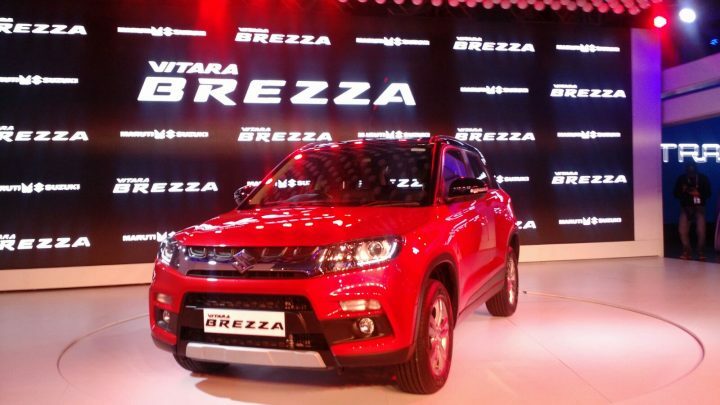 The Maruti Vitara Brezza prices start at Rs. 7.19 lakh, topping out at Rs. 9.88 lakh. 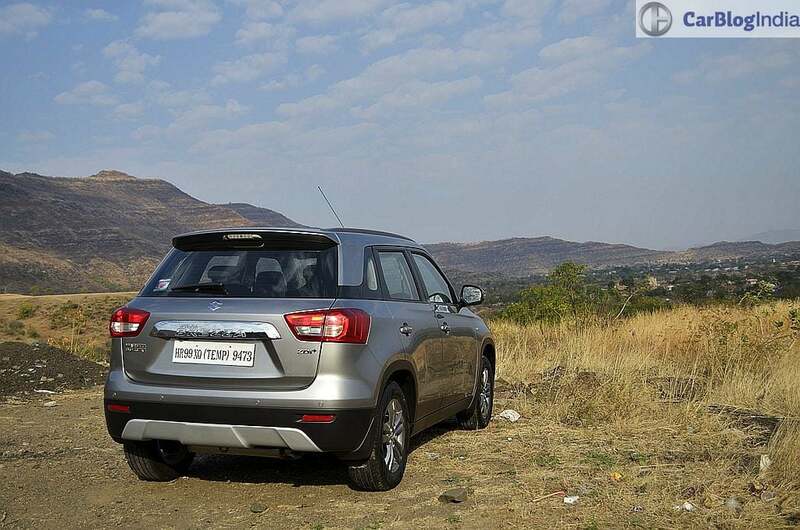 Thanks to such attractive pricing, the new Vitara Brezza undercuts the EcoSport by a fair bit. Even with the recent price cuts for the Ford EcoSport, the Brezza is slightly cheaper than the entry-level Diesel EcoSport. 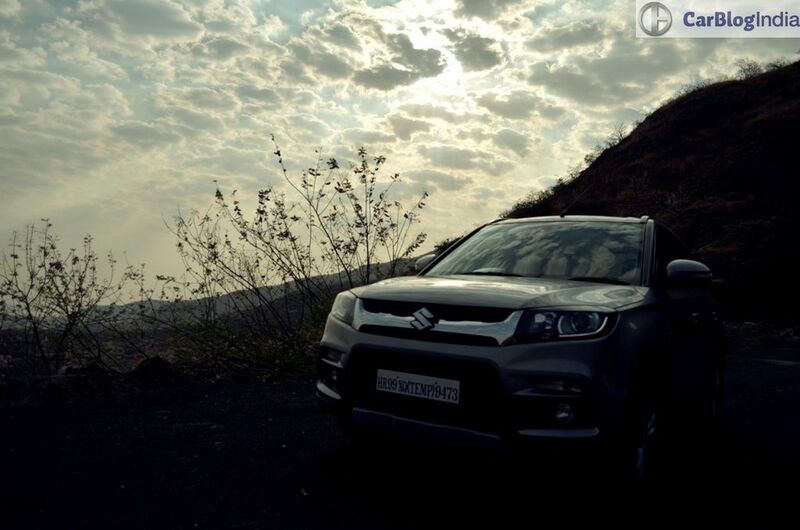 With such fantastic pricing, the new Maruti compact SUV is finding many buyers. 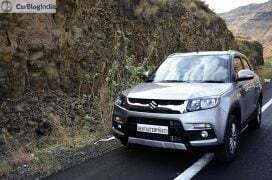 Maruti cars offer a high fuel economy and the Vitara Brezza is no different. 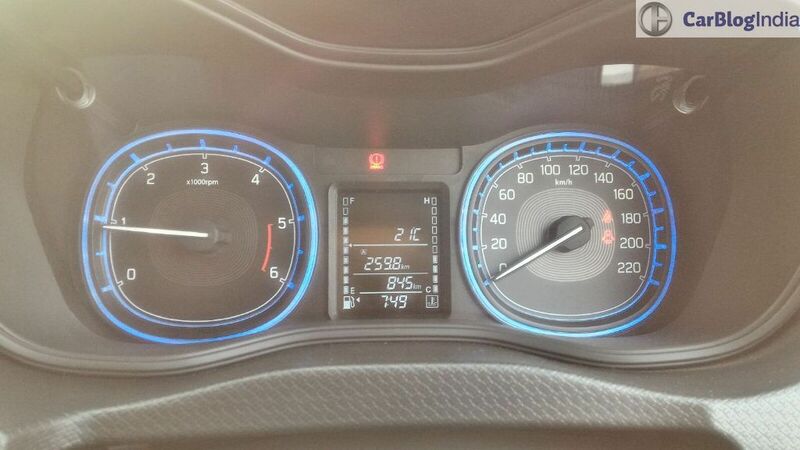 Maruti’s first-ever Compact SUV claims an ARAI-rated fuel mileage of 24.3 km/l! 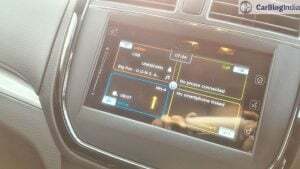 In the future, the Vitara Brezza could get SHVS mild hybrid tech, which should further boost the car’s mileage. Among the highlights of the new Vitara has to be its attractive design. On the outside, the car gets a dual-tone paint job, with the roof getting white or black paint shade as per the body paint option. 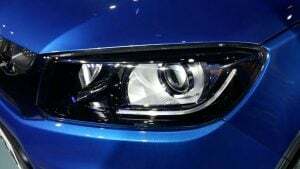 The front-end features a stylish grille that pays homage to the iV-4 concept and then, there’s a neatly sculpted bumper that adds some more aggression to the car’s nose. In side profile, you’ll be quick to notice this car’s compact dimensions and the overall dynamic stance. The rear-end is neat too and we hardly see any reason for prospective car buyers to not fall for this car’s design. The interior is a reflection of the smart exterior. There’s a smart-looking dashboard that features glossy black accents to add some excitement to an otherwise conventional design. And while there’s nothing really ground-breaking about the Vitara Brezza’s interior design, it would be safe to state that the cabin looks adequately cheerful and well put together. The Vitara Brezza is a strict five-seater but gets a large boot space. The speedo console gets changeable backlight and a multi-information display. 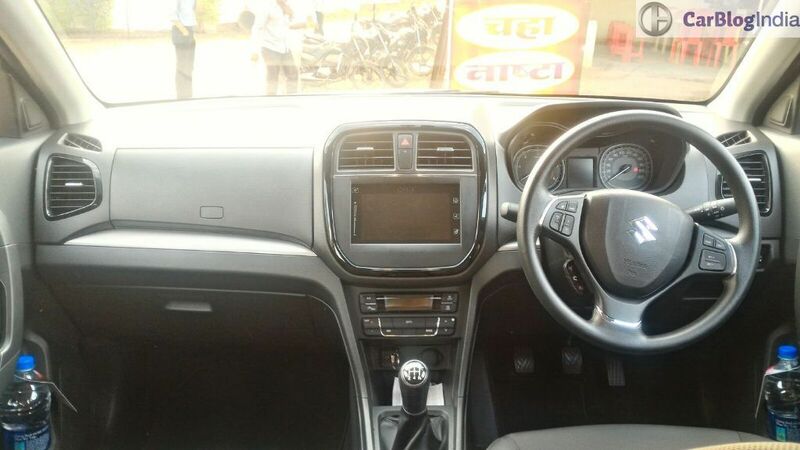 Bits like the steering wheel and gear knob have been borrowed from other Maruti Suzuki models. 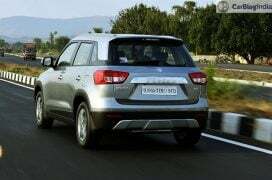 Much like the S-Cross, the 2016 Maruti Vitara Brezza misses out on petrol engine options. It comes powered by the same 1.3-litre Diesel motor that powers many other Maruti Suzuki models. This engine puts out a max power of 89 bhp and a peak torque of 200 Nm. The Vitara Brezza boasts a ground clearance of 198 mm. Transmission duties are handled by a 5-speed manual gearbox. The Vitara Brezza is available with a Diesel engine option ONLY. However, on the cards could be a 1.0-litre Boosterjet turbo petrol motor that also powers the Baleno RS. This new 1.0-litre Boosterjet engine pumps out a max power of 110 bhp and a peak torque of 170 Nm. The Boosterjet engine option won’t come cheap and could cost almost as much as the diesel variants. The new 2016 Vitara Brezza uses the premium image the Vitara name enjoys in India. 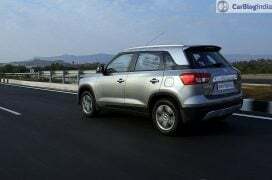 Compared to the Brezza, the Maruti Vitara SUV was sold in a much higher price bracket and competed with premium SUVs such as the Skoda Yeti. It also had a more powerful petrol motor and offered All Wheel Drive. 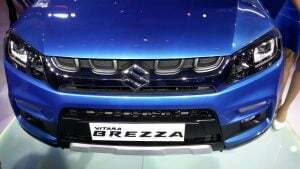 In comparison, the Brezza has a higher mass appeal and rivals models like Ford EcoSport. Stay tuned to Car Blog India for latest news updates on the 2016 Maruti Vitara Brezza Price, Booking, Specification and Features. CLICK HERE for a detailed Maruti Vitara Brezza Review and test drive report. 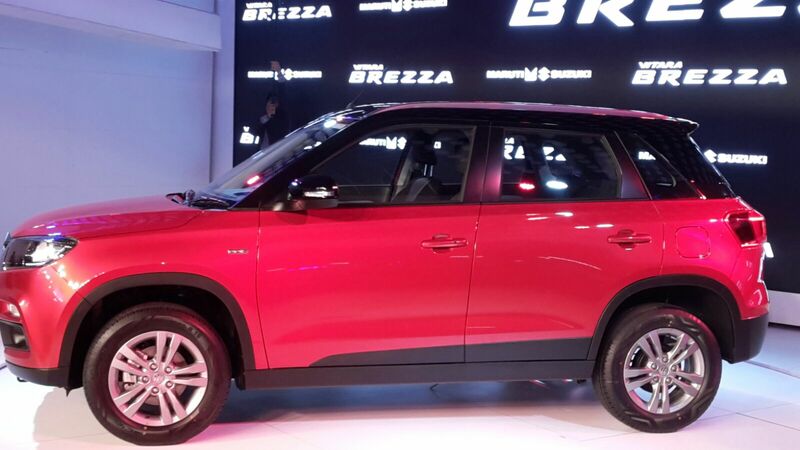 What do you think should be the 2016 Maruti Vitara Brezza price? Do write about the 2016 Maruti Vitara Brezza price in the comments section.